The TMC would field one candidate for the Andaman and Nicobar Islands, and Haasan said his party would extend full support to him. 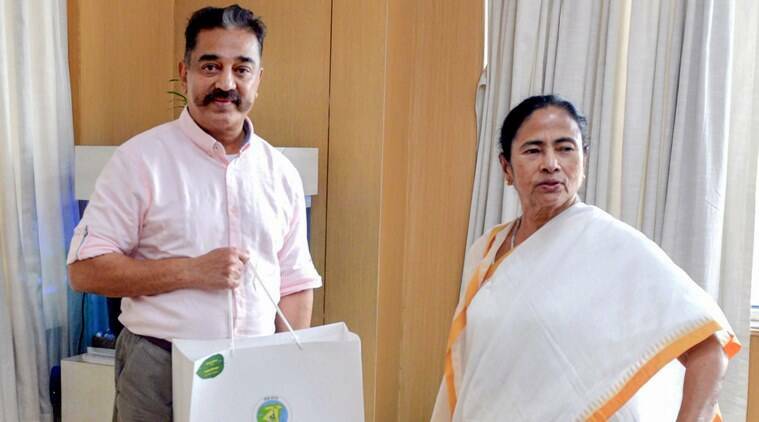 A day after ‘Makkal Needhi Maiam’ (MNM) chief Kamal Haasan released the manifesto of his party, the actor-turned-politician on Monday met West Bengal Chief Minister Mamata Banerjee and formed an alliance with the TMC for Lok Sabha polls. Haasan, who also released the second list of 19 candidates yesterday, met the TMC chief at Nabanna. “We have formed an alliance with Kamal Haasan’s party for Andaman,” Banerjee said. “We are proud to say that Makkal Needhi Maiam is an ally with the Trinamool Congress for Andaman… We hope this relationship evolves in the future,” Haasan said after the meeting. Kamal Haasan’s party had last week released its first list of 21 candidates for Tamil Nadu and Puducherry for Lok Sabha elections.